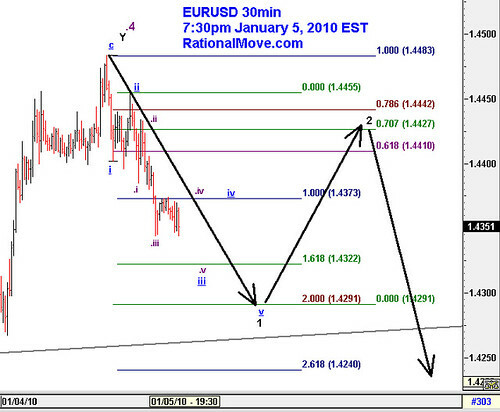 $EURUSD This is my current speculation, originally uploaded by Rational Move. I entered have small short position for EURUSD today as I tweeted, and this is what I am speculating now. Since I am anticipating black wave 2 rebound, it’s natural for me to take profit at 1.4300, and wait to re-establish the short position.